The “St. James Orphan House (SJOH) Project” as it is today was founded in September 2011 by Renaissance Education Foundation (REF) to support the Orphans and officially opened in the October 2011 of this year. 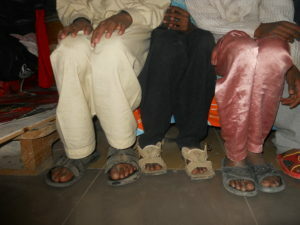 During discussions with Josephine (Head Mother) expressed her concern for the condition of some of the orphan children. As a result of this interest Head Mother was invited to visit a local area caring particularly for children and mothers (Widows). It was in this one dingy room that she became fully aware of the desperate plight of abandoned children in Egypt. The conditions she witnessed two baby boys and one girl baby living in imprinted itself on her heart. From this moment on the need of these children are preyed on her mind. Josephine became a regular visitor to the area and decided a special home needed to be opened for these children. Initially opening with a handful of children in rented accommodation, the project is growing day by day. There are so many ways to help a SJOH child and they need that help now! Please do not put off till tomorrow what you could do today. SJOH has always been wholly reliant on people’s generosity and you can make all the difference to these children’s lives. 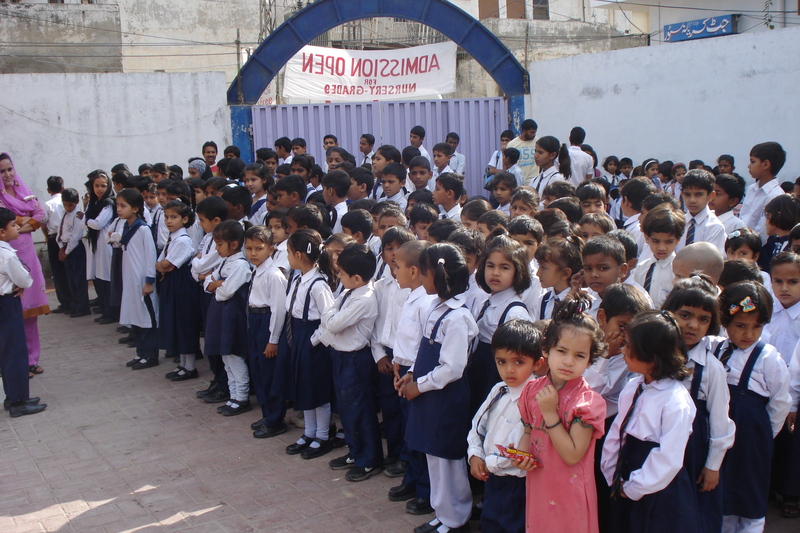 St.James Orphan House (SJOH) has a great concern and interest towards formal and technical (skill) education. We believe that education is the basic right of every human being and without education we can not bring a change we wish for. Therefore, we want to support the under privileged children to get formal education and become a useful and productive citizens of the world. We would like to support them financially for books & stationary, uniform, shoes, fee,shelter and food. We will also take care for their health and will have proper health checkup twice a year. The education awareness building program will be carried out throughout the year by organizing and arranging meeting/group discussion and seminars with the community of the targeted areas. This activity will help to assess the interest and need of the community and youth of the target areas. Change Through Education project is aimed to provide financial and awareness raising opportunity among the people of Pakistan. Particularly Christian students and families will be targeted whereas students from other communities would also be benefited. Christians are the largest minority in Pakistan. They live in all parts of the country. Majority of the Christian community live in villages, working in brick factories and are illiterate. Even in the cities about 0.5% literate. They do not have good jobs due to illiteracy; therefore, they are facing constant financial crises. Majority of the people involve their children in early ages to support their parents to meet the necessities of life. So most of the children do not enjoy their child hood, schooling, playing games etc. 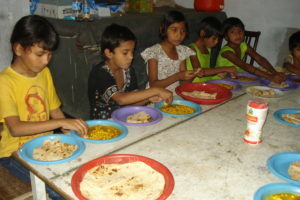 They are compelled to work with their parents to meet the daily needs of life. 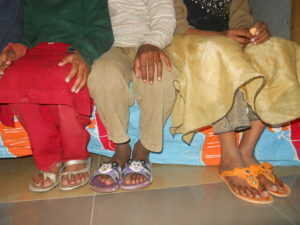 The Orphan Children are in the special Focus of SJOH. See the article at express news by clicking on the link below. 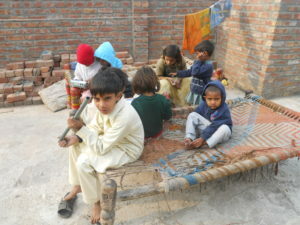 Life is becoming harder and harder in Pakistan for everyone in general and specifically for labourers and daily wagers. Prices of the edible goods and commodities are rising up and up while the daily wages are not enough to meet the necessities of life. It is not easy for one person to feed rest of his or her family members (children and old persons). To promote a healthy and peaceful environment (SJOH) feels that at local and international level it is necessary to support and strengthen the under privileged to lead a prosperous and respectful life. SJOH feels that the best way to bring a change in the society is education. We believe that education is the only source of change at all levels. Children of the christian community do not have enough resources and opportunities to go to school and get formal or non formal education. And the current situation and every day rising in prices of daily use commodities creating more and problems for the people who are leading their lives on daily wages. (SJOH) encourages those students who are getting education even in the worst circumstances and their families and time to time motivate parents and students through formal discussions and activities like parents day and other social gatherings. We have planned to launch a pilot project Change through education in District Lahore and its surroundings. We have targeted 120 students from our targeted schools/ working areas. Change through education project is to encourage the Orphan students and their families to let them become a useful citizens of the world who may further develop and support his or her family to lead a prosperous and respectful life. To aware, sensitized and empower young children about the role of education for respected and prosperous life. To create an opportunity for underprivileged/Orphan children for getting formal education. To support the needy children of the targeted area to get formal education to save their future. To motivate parents/guardian through family visits and seminars to send their children to school for getting formal education to save their future as well as to bring a prosperous and peaceful change at family and community level. To arrange medical check up for the student to avoid from any epidemic disease.